Since 2012 Dr. Pauly focuses on complement regulation in the murine and human retina in her own group. One of her main research goals is to elucidate the role of the complement system in age-related macular degeneration (AMD), the leading cause of blindness in the western world. 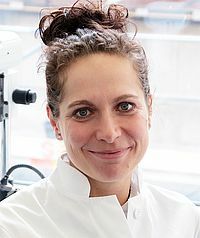 Her projects provide unique and comprehensive insights into the functional role of the non-blood derived, local complement system in the retina and retinal degeneration.